Real ভ্যাম্পায়ার Don't Sparkle. 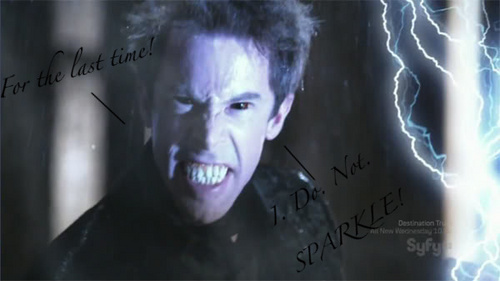 Nikola Tesla from Sanctuary (aka the best vampire EVER) does not appreciate being asked if he sparkles! :P. Wallpaper and background images in the Critical Analysis of Twilight club tagged: sanctuary nikola tesla jonathon young vampire.